I have always enjoyed winter light (even though I hate the cold). The low sun angle provides subtle warmth and interesting shadows. 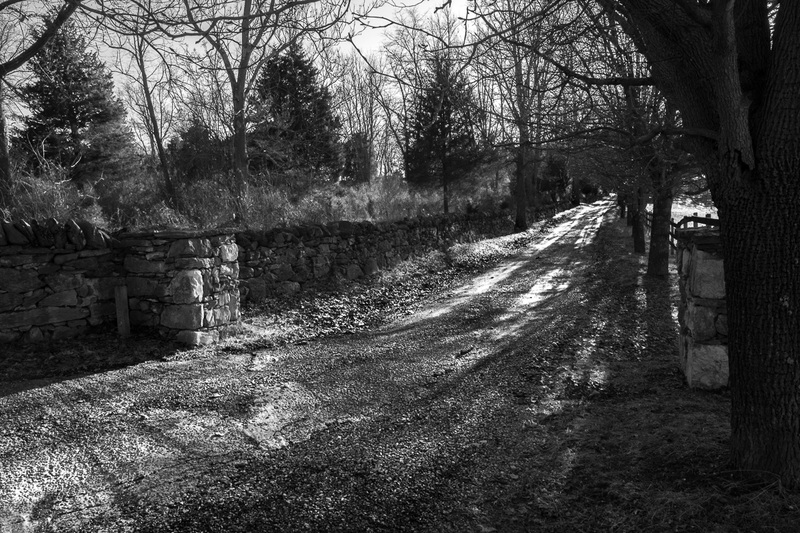 Here the late afternoon sunlight filters through to side road or driveway that leads to a hidden estate up around the bend. ~ by Admin2 on February 3, 2014.